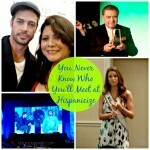 If you follow along you know that Hispanicize (Hispz) has played a big role in my life. 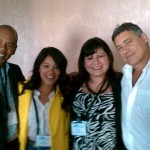 Heck, I started this blog after I attended Hispanicize 2012. 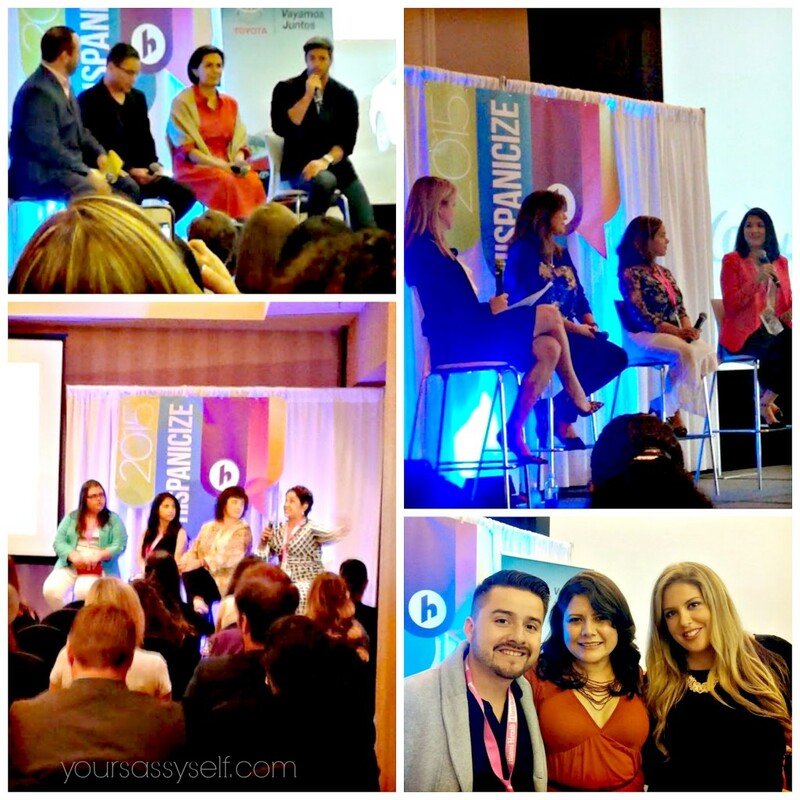 After attending it 4 yrs in a row now, my love for everything Hispanicize continues and I want to spread the word so that all digital influencers know why they too need to get their Hispanicize on. 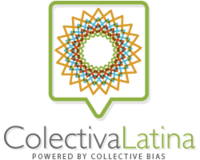 For those of you new to the glory that is Hispanicize, it’s the largest annual event for Latino trendsetters and newsmakers in journalism, blogging, marketing, entertainment and tech entrepreneurship. 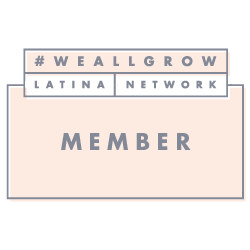 It’s a launch pad for creative endeavors, new products, technologies, marketing campaigns, films, books and more targeting Latinos in the U.S. and/or Puerto Rico. As a result those who attend, get the opportunity to mix and mingle one on one with brands, celebrities and fellow influencers seeking to showcase their newest endeavors, products and promotions, while brainstorming and sharing tried and true marketing strategies. Win, win I tell ya. 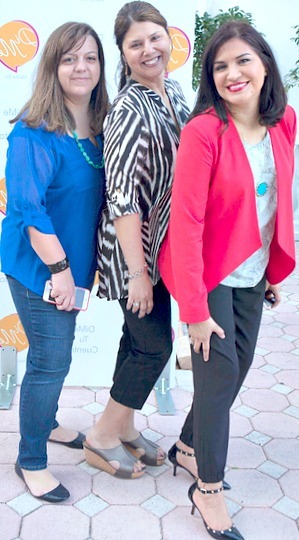 the fab – Katherine Johnson – Co-Founder & Partner at Hispanicize Event & Angela Sustaita-Ruiz – Co-Founder/Organizer at Hispanicize and Co-CEO and partner of DiMe Media Inc. – formerly Latina Mom Bloggers – which debuted it’s rebranding at this year’s Hispanicize along side fellow Co-CEO & partners Piera Jolly and Cristy Clavijo-Kish. 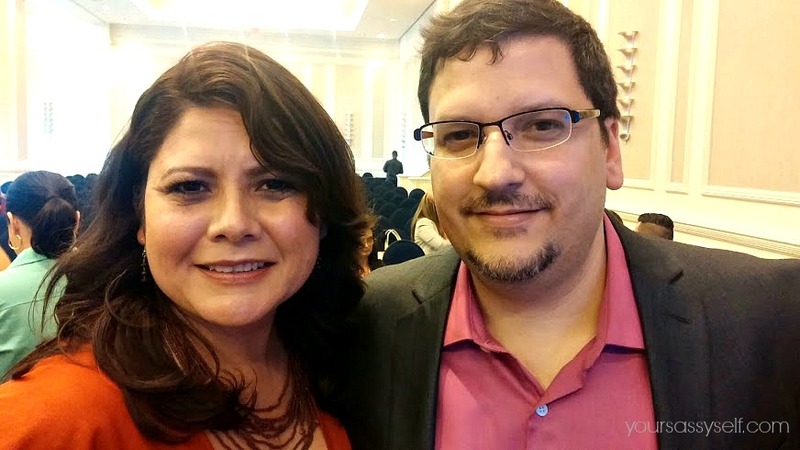 Hispz not only helps connect influencers with each other, but allows for influencers, brands and celebs (yes celebs – more on them in a later post) to mingle and make genuine connections, which leaves attendees like me feeling like rock stars through out the event. Don’t believe me? Read on. As soon as I landed in Miami for #Hispz15 I bee lined it to the Ritz Carlton for a #DisneyFamilia experience I soon won’t forget. Yes, it was as fabulous as it sounded. Me and my fellow influencers ate lunch, with the beach as our back drop and enjoyed one on one time with Mickey and Minnie. If that’s not a welcome, I don’t know what is. But more to come on my fabulous Disney experience in a future post. 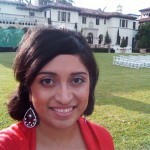 Then I got some wonderful, inspiring catch up time with the one and only Lizza Monet Morales of xoxolizza fame. 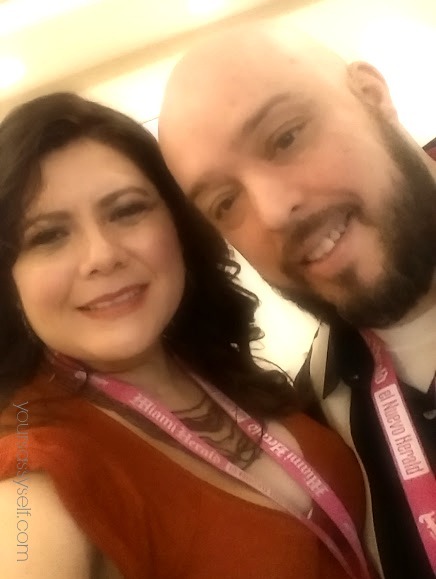 It’s been wonderful following and supporting her since we met in 2012 at Hispz of course. 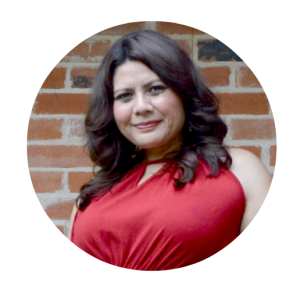 Once we arrived at our hotel we parted ways and I headed to meet my roommate Linda Castillo-Arreola – Founder and Executive Editor of Modern Latina and nominee in that night’s, first ever Tecla Awards – celebrating the best digital influencers. And what a fun night it was. And that was just day 1. Yup, when you’re Hispanicized you’re pretty much going from early morning to late night. Sleep is an option, but not a requirement. Thankfully, our favorite brands know this and offer up various pampering services to keep us looking fresh and selfie ready. 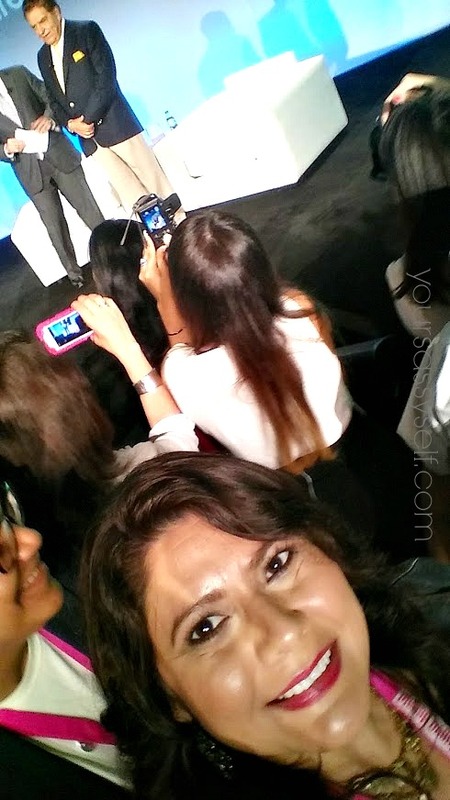 Totally rushed the stage with everyone else to get a pic and selfie with Don Francisco of Sabado Gigante fame. 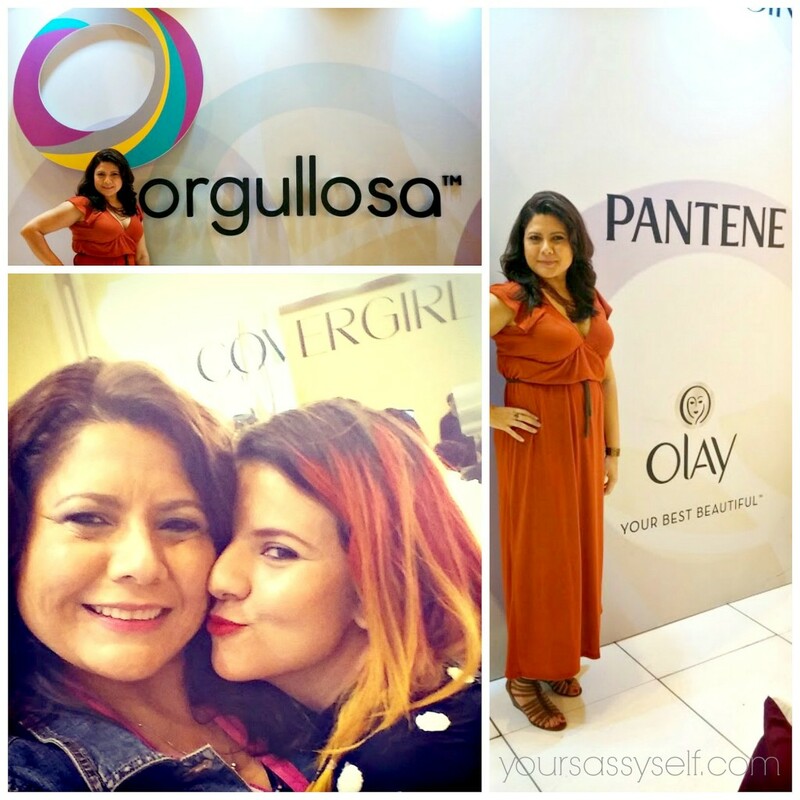 Orgullosa hosted the #LivingFabulosa Lounge where we were able to talk skincare and beauty as we got our make-up and hair did by the best of the best, using CoverGirl, Olay, and Pantene products. 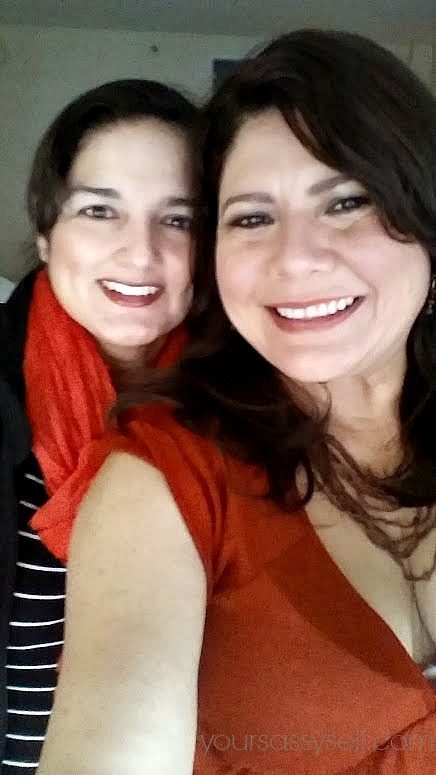 Me Living Fabulosa with makeup artist Aileen @makeupbyaileen. Then we also got to have some fun posing with Gain. I didn’t quite master the multi-shot camera, but you get the drift. 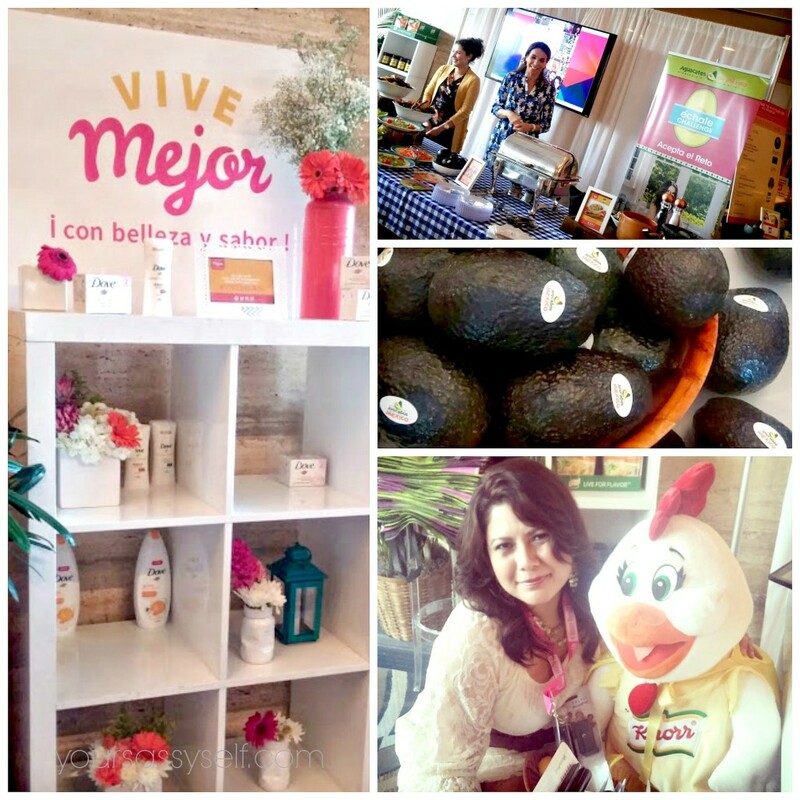 Vive Mejor not only offered informative, interactive sessions with experts, but they also pampered us with fab Dove hairdos, Ponds mini facials and meals using Knorr y Aguacates de Mexico. Yum, yum. Even the #knorrmita knorr chicken got in on the action gifting those that posed with her selfie sticks. Not to be out done, Shea Moisture showcased their products by offering hair and make-up services, along with hand and feet massages for us weary souls. 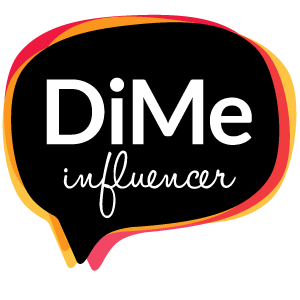 Yet another little piece of heaven for digital influencers on the go. 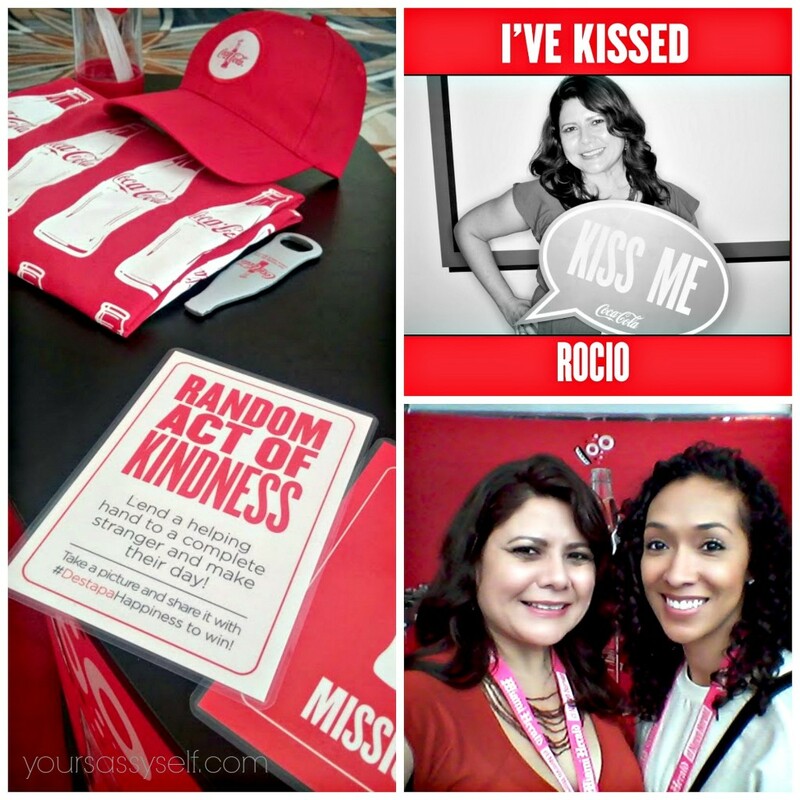 The bottom right picture is of Rocio Mora from @RisasRizos & I doing our happy dance in front of the Coca-Cola Destapa Happiness booth because we’ve got the same first name – Rocio!! and Florida Blue’s #AquiParaTi beach oasis which came complete with palm trees, sand and real coconuts filled with fresh coconut water. The beauty is that Coca-Cola also nourished our souls with their happiness missions; while Florida Blue nourished our body through an early morning Zumba session with celebrity instructor Toni Costa – married to Adamari Lopez. 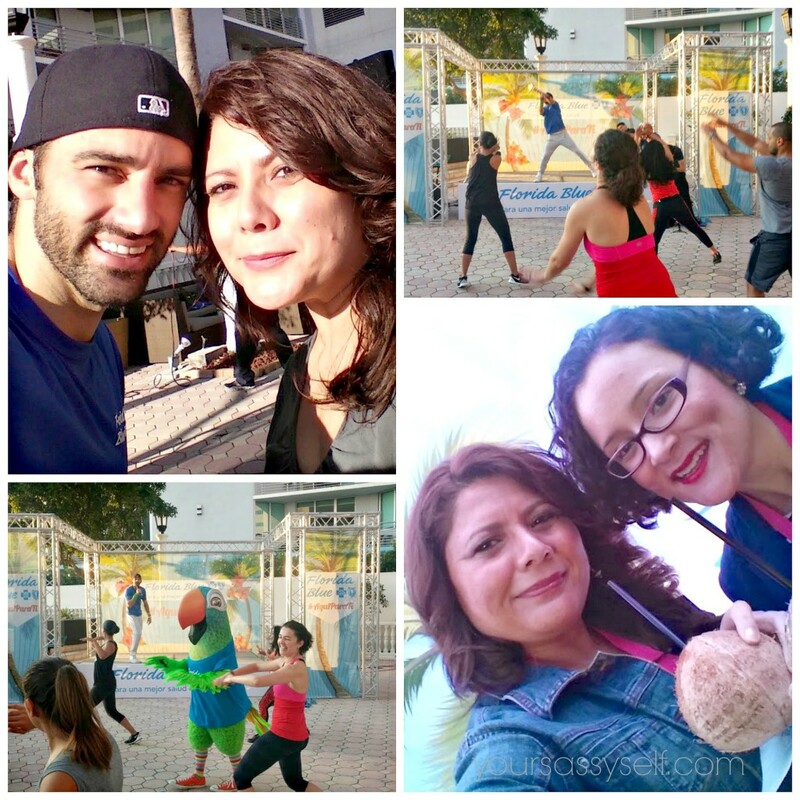 Selfie with Toni after our Zumba session & selfie of me and Jennifer Rodriguez (@Jennergy_Writes) enjoying some yummy coconut water. Oh yeah, what about the mind you ask? 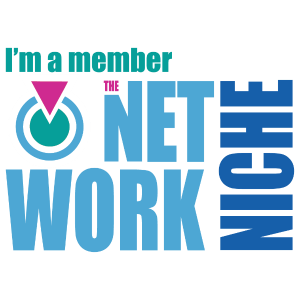 There are multiple sessions going on through out the day to help with that, showcasing the latest trends, tried and true practices, as well as sessions on how you too can grow your digital influence. There are so many great ones sometimes that you wish you could be in two places at once. 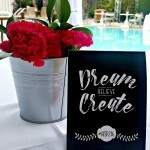 I tell you they try to think of everything, even inspiring you with DIY projects for you to tackle when you get home – as if putting together our recaps and our fav product highlights wasn’t enough. 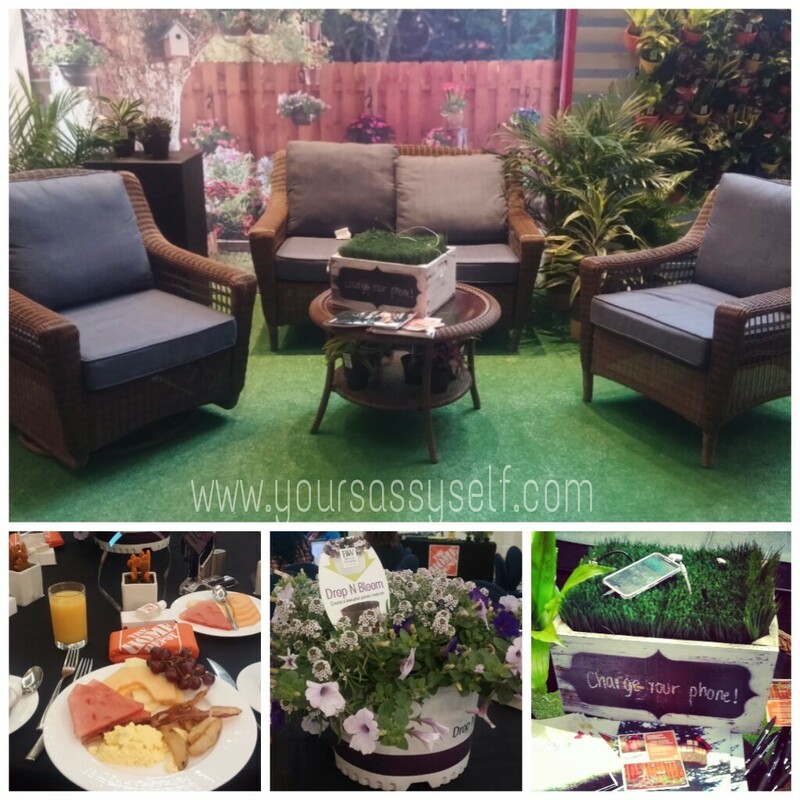 To help with that, Home Depot hosted a lovely breakfast to showcase their #PrimaveraTheHomeDepot products, hosted lovely charging stations at their booth and even held a daily contest to win BBQ essentials, outdoor patio furniture and yard tools. 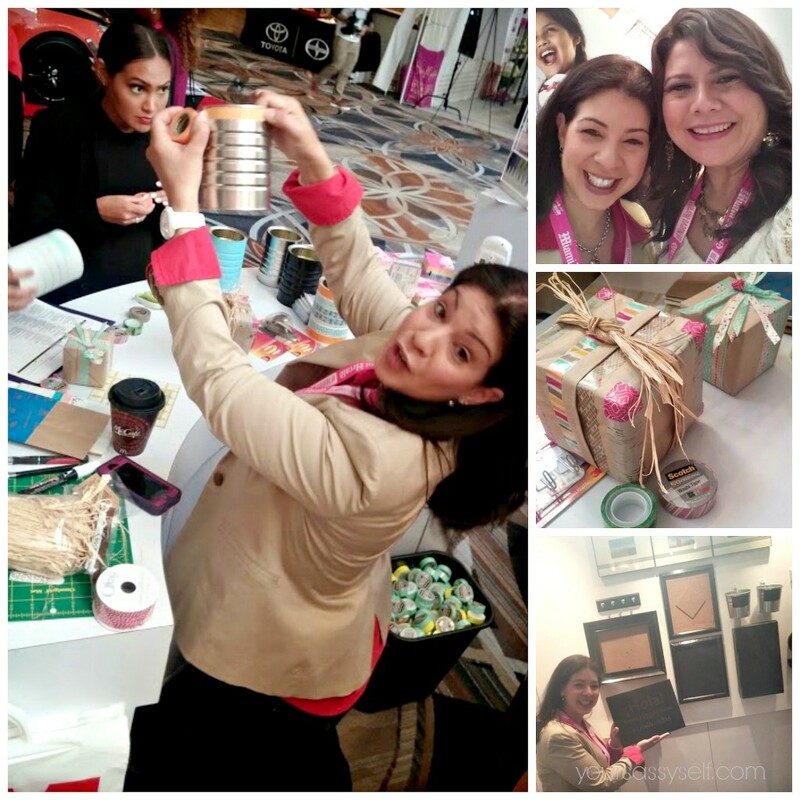 3M also stepped up showing that they offer so many products that can help us get our home in order and beautified with their campaign #LifeWith3m and the help of DIY Expert Carmen De La Paz. 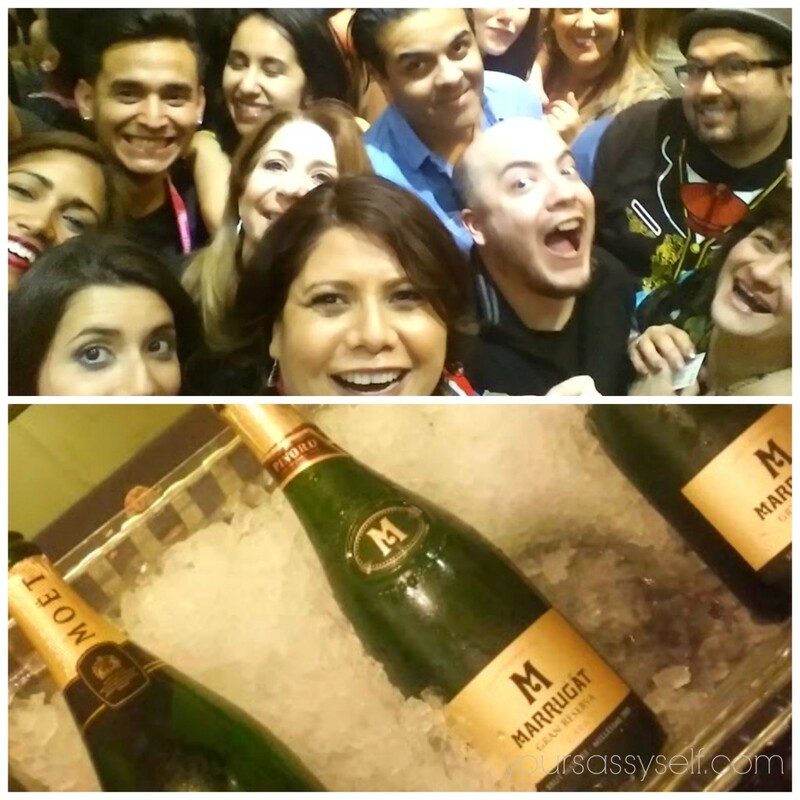 Phew, with all that going on you’d think it would be enough, but this is Hispz baby and there are always reasons to party. 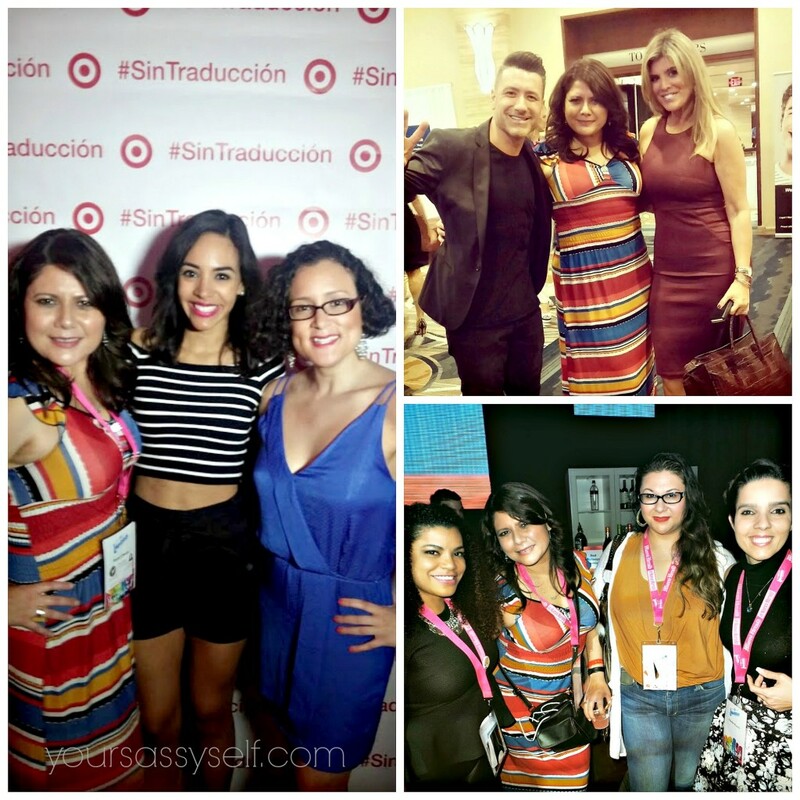 Target’s #SinTraduccion Opening Night Reception was a great example of that. Kudos to Target for celebrating Spanish-language words, with no English equivalent, which we use to celebrate moments, traditions and emotions that are treasured by many in the Hispanic culture. And boy did we celebrate. Not only did we get to experience a couple celeb encounters, great music and fab drinks, but it’s during times like this that we truly get to network, catch up on what our peers are doing and feel bonded as a community because we just want to enjoy enjoy each others company. I’m pictured on the left with the fab Nina Terrero @Nina_Terrero & Jennifer Rodriguez @Jennergy_Writes; Top right with Jorge Bernal @JorgeBernal – host of La Voz and Ana Quincoces @AnaQooks from the Real Housewives of Miami; Bottom right with Daily Baez @DailyCurlz, Byrdie Franco @byrdiefranco and Claudia Krusch @ckrusch. So much so that the after party #3308 became a little bit of a legend at the event. Of course, yours truly was there. Another legendary party not to be missed is of course McDonald’s Yacht Party, which takes guests on a sunset cruise and ends with a VIP McDonald’s experience. I’ve been a couple of times and I highly recommend it. As you can see, there is so much jammed packed in such a short period of time that it’s next to impossible to list it all in one post. There will definitely be more posts coming your way, but trust that if you ever get a chance to attend you will leave feeling exhausted, but full of spirit, inspiration and motivation, with new and old friends to lean on and business contacts to reach out to. 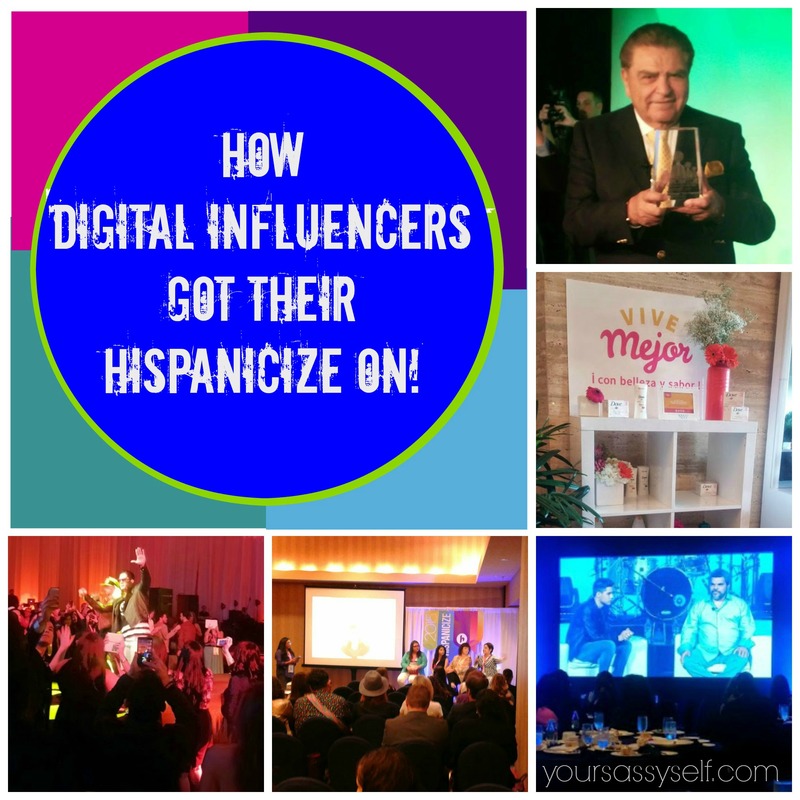 Want to attend Hispanicize 2016? 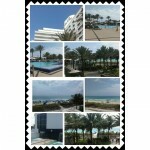 It’ll be at the Miami Intercontinental Hotel April 4-8, 2016. See ya there! 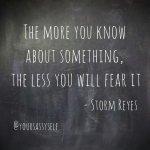 I’m living awesomely vicariously through you! That looks like a super event to attend! I got tired just looking at all the great activities you got to do…awesome !! This event needs to be added to my bucket list : )).